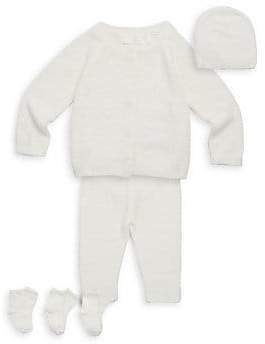 The supersoft and luxurious coziness that Barefoot Dreams is known for is now available in a newborn set perfect for baby's first trip home. A dreamy rib-knit cardigan and beanie are paired with matching pants for your sweet bundle of joy. 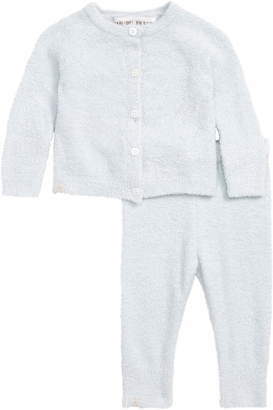 Style Name:Barefoot Dreams Cozychic Ultra Lite Ribbed Cardigan, Pants & Beanie Set (Baby). Style Number: 5759290. Available in stores.